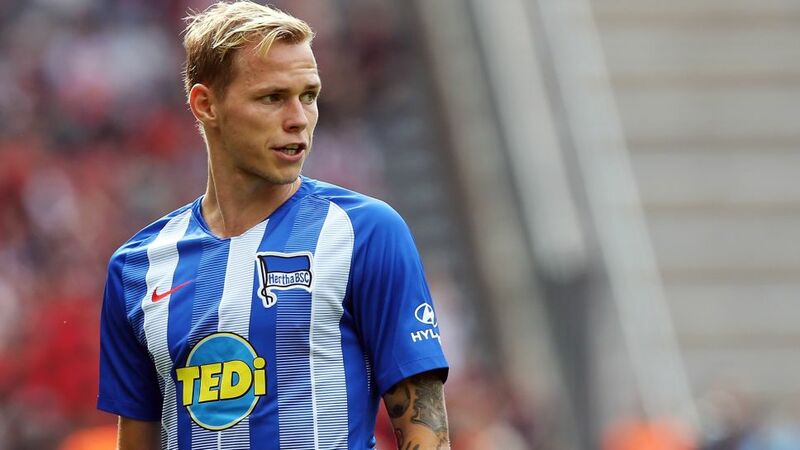 Hertha Berlin's Ondrej Duda is finally getting the chance to show the talent that will surely make him one of the Bundesliga's hottest performers. Finally free of injury and flourishing, the Slovakia international has made a lightning start to the 2018/19 campaign. bundesliga.com puts Duda in the spotlight. The Bundesliga has seen this season why Hertha coach Pal Dardai says, "Duda can do things with the ball that very few here can". Bayern Munich & Co. must have been thankful they were not on the receiving end of the Slovakia international's masterclass against Schalke on Matchday 2 when his brilliant free-kick followed up his opening goal. "I think it's the first time in my whole career I've scored twice in a game," he said. The Czechs had a 'Little Mozart' in former Borussia Dortmund and Arsenal talent Tomas Rosicky, their neighbours have — according to Dardai himself — "a little artist", but life in Berlin was not always painted in such bright colours for Duda. After he joined the club from Legia Warsaw on a five-year deal in 2016, he could not have been more bedevilled by injury if the knee and muscle problems that limited him to just 67 minutes in his first season had had horns and a trident. And when he was fit again in summer 2017, he wasn't match fit, at least not by Dardai's demanding standards. The former Hungary international came down hard on his midfielder, pressing him into extra training and punishing him with push-ups when Duda did not meet his expectations. It worked. "I haven't seen him like that in training for a long time," the Hertha boss said by January 2018. "His fleet of foot and dynamism are better than they have been recently. Perhaps we'll play with him as a number 10." He did, and as Salomon Kalou said after Duda's Matchday 2 special in Gelsenkirchen, "Number 10 is back". The talent that has the Bundesliga all gooey-eyed was first shown in eastern Slovakia where Duda played for his hometown club, MFK Snina, before joining one-time UEFA Champions League group stage participants Kosice. After bursting into the first-team aged 17 under Jan Kozak — the man who would eventually hand him his Slovakia debut too — Duda impressed enough to win the Peter Dubovsky prize in 2014, the honour named after the late former Real Madrid player, awarded to Slovakia's best young player, and also seen on the mantelpieces of Marek Hamsik, Martin Skrtel and Stanislav Lobotka. In February, 2014, Legia came along and whisked him across the Tatra mountains to the Polish capital, not that it fazed young Ondrej. "Absolutely not. Ondrej is a clever lad," insisted his father and agent, Ondrej Sr. "Going from Kosice where 200,000 live to Warsaw with ten times as many people has not changed him at all. He can handle that pressure." The winner's medals earned through central roles in two Polish titles and two national cup wins, including a domestic double in his final season before joining Hertha, are testament to Duda's coolness under pressure. A heavyweight list of clubs that included AC Milan, Inter Milan, Napoli, Hannover, Cologne, Arsenal, Spurs and Everton were also impressed, fluttering their eyelashes longingly at the then-Legia midfielder, whose performances were drawing favourable comparisons with those of his hero, former Liverpool and England midfielder Steven Gerrard.